Welcome to Trolley Bar & Grille! Authentic American home-style cooking, great selection of draught beers, welcoming venue, outside seating, sports tv, and more! Are you looking for drinks happy hour? How about two, each and every day! How about great food? Already causing a stir is our lovingly cooked food, care and attention on every plate! We have just added even more delicious food to our range, and have been featured in the local TianjinPlus magazine with a rather spankingly-good article, have a look! Come on down! 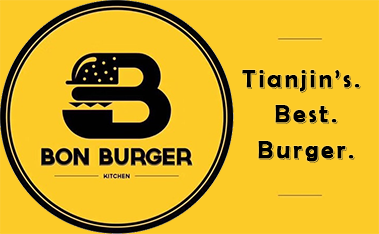 Actually, they have a range of food but if you are looking for a good burger and are in the area, this is the place to go. Staff are attentive, venue is open and bright, prices are very good, looking forward to trying some of their newer dishes!